Game with high fidelity audio. 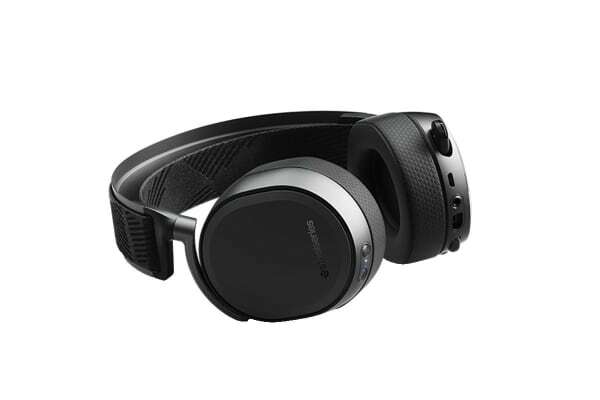 Hi-res capable speaker drivers and a lossless and lag-free wireless solution make the SteelSeries Arctis Pro Wireless Gaming Headset the only true wireless high fidelity gaming audio system. The Arctis Pro Wireless features rock solid, lossless 2.4G wireless audio for gaming, combined with Bluetooth connectivity for mobile devices. Use both connections simultaneously or independently for maximum flexibility. 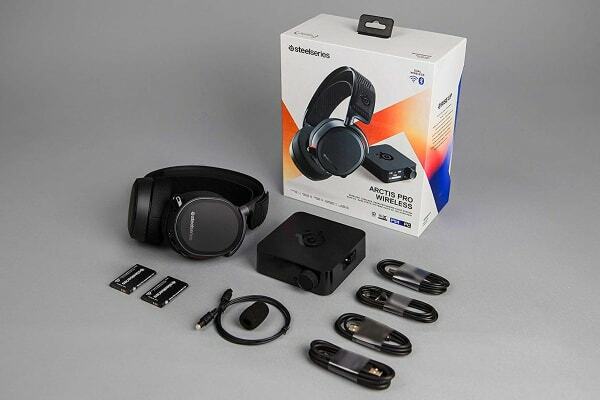 The Arctis Pro headset connects to the wireless transmitter base station via the proven SteelSeries 2.4G connection. This provides lossless and ultra-low latency wireless audio with up to 40 feet of interference-free range. Manage your Bluetooth settings and even see incoming call information on the transmitter base station’s OLED display. The Arctis Pro’s intuitive OLED menu lets you quickly dial in the perfect balance of game and chat audio with the ChatMix feature. The Arctis Pro’s onboard equaliser lets you tweak each frequency via the OLED screen to craft your perfect sound on the fly with no software required. The Arctis Pro headset features premium speaker drivers with high-density neodymium magnets that reproduce Hi-Res audio out to 40,000Hz, nearly double what most standard headsets are capable of (22,000Hz). Exclusive dual-battery system means you never need to sit next to an outlet to charge your headset. 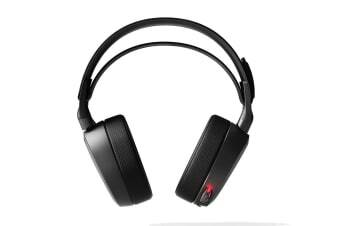 Keep one battery charged in the transmitter base station while gaming with the other in the headset. This product may contain warranty documents on or inside the packaging provided by the manufacturer of the product. Any such warranty is not given by Kogan.com, and is separate from the Kogan.com warranty. Some warranties provided by manufacturers of imported goods may not apply in New Zealand. 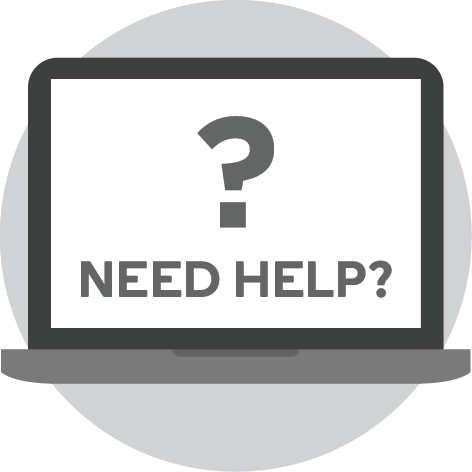 You should contact the manufacturer identified on the warranty document to determine whether or not the warranty applies to the goods in New Zealand and if so, how you should go about making a claim under such a warranty.